CHABAHIVA Trust developed an HIV Youth Peer Educator programme in cooperation with the Field Band Foundation to strengthen their life skills curriculum. 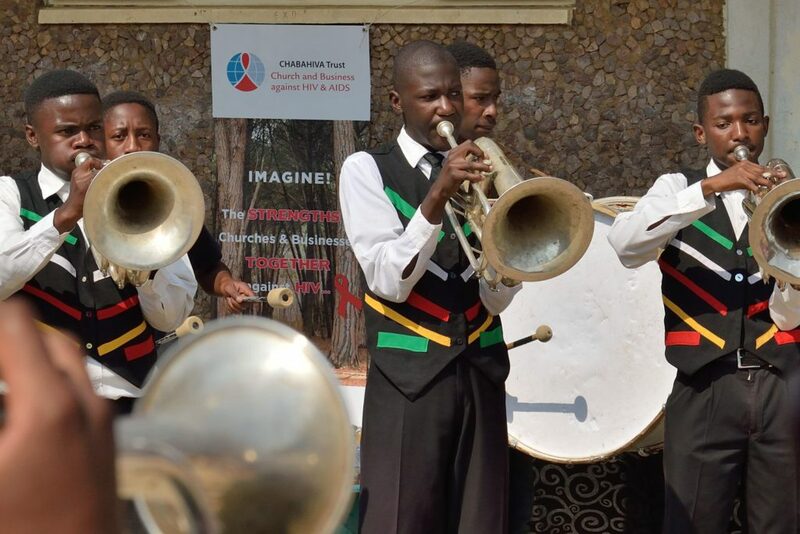 While the Field Band Foundation is being supported by various businesses in South Africa and each individual Band also has at least one supporting local business, the CHABAHIVA Trust brings the support of the Waldensian Church to benefit band members and their communities through health education with a preventative and holistic approach. The first year of successful implementation was during 2016 when the programme was put into practice in the Springs Field Band. The Field Band leadership identified a representative member group from both Daveyton and Kwa-Thema to be trained as Peer Educators. In March 2016 they received a 4-day training from the Reality Wellness Group. To ensure that the leaders were competent to guide the Peer Educators, three of the Springs Field Band leaders received the CABSA facilitator training. The 23 trained Field Band members were mentored for the rest of the year on a monthly basis by one external mentor (Wanda) as well as the Band’s own social officer (Vuyani Mukandi). Complementary to the focus on the Peer Educators and their fellow members there were continues efforts to reach out to church leaders, businesses, other NGO’s involved in HIV and AIDS in the community of Springs as well as the Department of Health. The Peer Educators and their leaders organised a successful HIV Family Day on 26 November 2016 for the community of Daveyton. 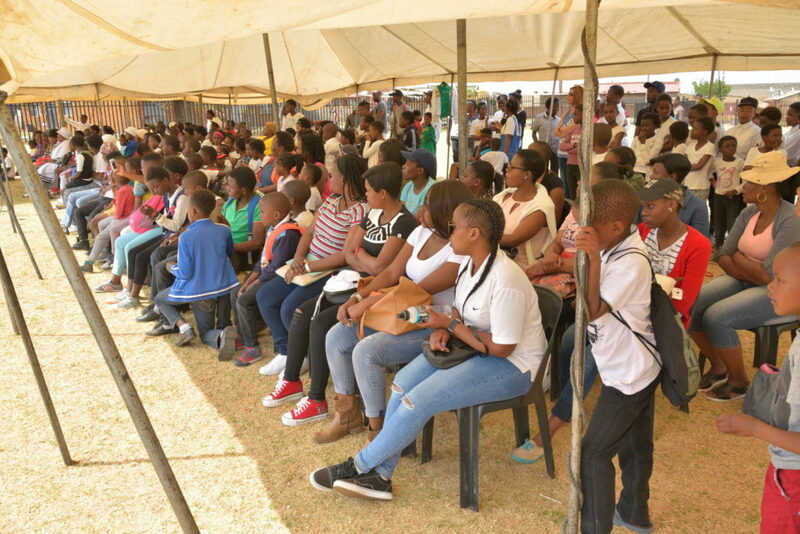 Information, counselling and testing and health services were made available at the Chris Hani Sports Park, Emaphupheni. Teams from Ekurhuleni, Tshwane and Trucking Wellness provided counselling and testing to the individuals motivated by the Peer Educators to know their status and 113 people accessed HCT and other health screening services. The first year concluded with an evaluation function, feedback and celebration event with the Peer Educators on 8 February 2017. The feedback was unanimous that the first year’s project helped everyone to grow individually and that there was observable impact on the level of all band members. This first project was implemented under the leadership of Ms Judith Bester and Ms Wanda Olivier. With positive feedback from the beneficiaries, lessons learnt and appreciation from the Field Band Foundation for the contribution to their mandate of youth empowerment, CHABAHIVA Trust decided to continue with the programme. The project of 2016 in Springs Field Band would serve as a reference for further implementation – to continue in Springs Field Band as well as to replicate it in other Field Bands while also improving the programme. During 2017 the HIV Peer Educator programme continued in Springs and a similar project was initiated with the Hammanskraal Field Band leadership. To complement these projects, a Workplace Wellness Programme, focussing on the employees of the Field Band Foundation, was also implemented at the head office. Read more about this programme here. The 15 Springs Field Band Peer Educators remaining from 2016, together with 8 new members, participated in the 5-day CABSA Peer Educator Training in April 2017. This training increased the focus on change in attitudes, reduced stigma and provided tools to share HIV messages. Wanda Olivier continued to support and upskill the Band’s Social Officer and the trained Peer Educators were regularly mentored. 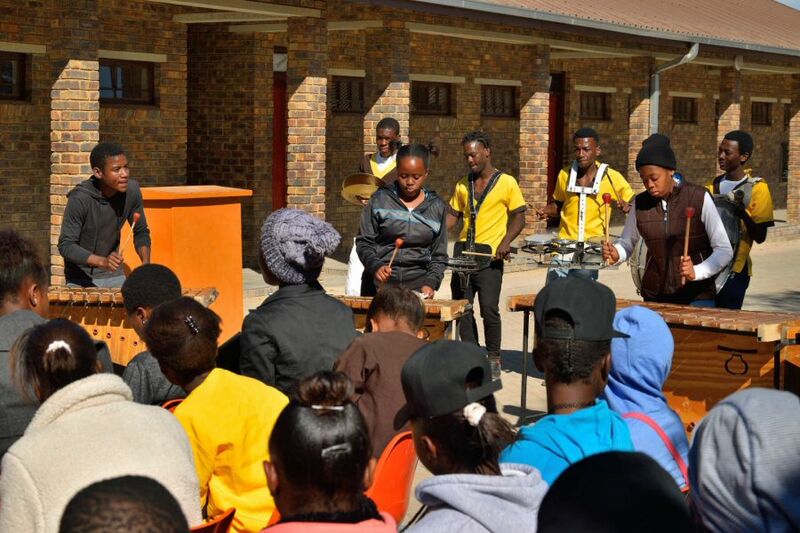 Band leaders and Peer Educators organised a Family Health Day in the Kwa Thema community in September to involve band members’ parents as well as to reach out to the community. Relationships with local government departments, NGO’s and businesses were re-affirmed. The Peer Educators received their certificates and 111 people accessed HCT and other health screening services. At the evaluation function in February 2018 all Peer Educators indicated that the experience empowered them and wished for the programme to continue. The knowledge about HIV was reported to have had an impact on each member. The positive feedback was underscored by the results of the HIV and Aids Knowledge, Attitude, Behaviour and Practices (KABP) survey done at the Springs band. A baseline survey in April 2016 (before the first Peer Educators training) was followed by a survey in December 2016 as well as a third survey conducted in November 2017. Concerning indicators were that there were still facts that were not known well and misconceptions that persisted. Good internalisation of one’s own risk was also still low with members that had concurrent relationships as well as some who used street drugs. a positive increase in condom use and an increase of discussing of HIV between sexual partners. The surveys also confirmed the need for an HIV intervention project like this one. KABP surveys form part of all projects at Field Bands. The leadership of Hammanskraal participated in a preparatory workshop for implementation of the programme in May 2017. One improvement from the project in Springs the previous year was that the leadership first informed the parents about the planned programme. In July 2017, 25 band members and 4 tutors participated in the Peer Educator Training. Feedback received after the training was again very positive and confirmed the excellence of the CABSA Peer Educator training. A six months’ implementation plan was developed and all Peer Educators took responsibility for implementing the plan. Similar to the Springs project regular mentoring support was given to the Peer Educators in Hammanskraal. 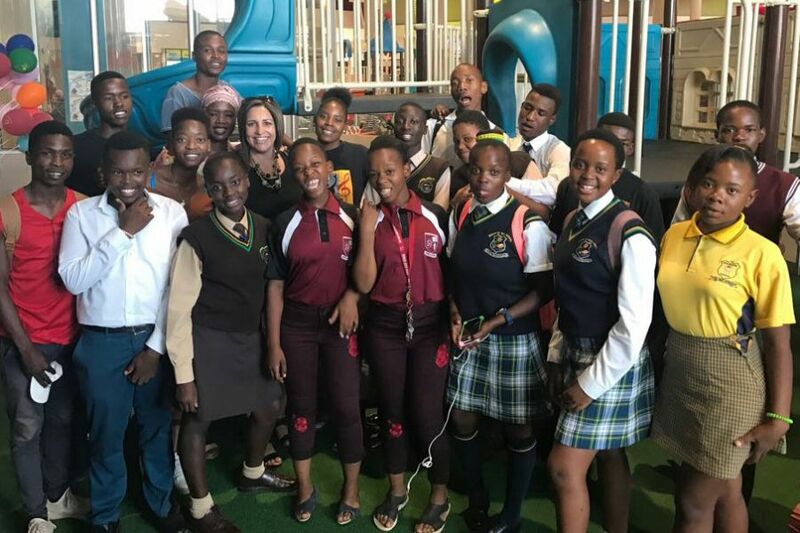 The Hammanskraal Peer Educator Project launch took place on 10 September 2017. Peer Educators where formally introduced and they received certificates. This was followed by a churches and business discussion lunch meeting attended by 19 local leaders. Hammanskraal’s Peer Educators had their evaluation meeting on 12 February 2018 where positive feedback was expressed. A majority of the Peer Educators indicated that their knowledge improved and that they gained new perspectives about healthy lifestyle choices and people living with HIV. Their Family Health Day was hosted on Saturday, 17 February 2018. Attendees were entertained with music and dance from the Field Band as well as a traditional dancing group. Band members and community members had access to HIV counselling and testing. After a powerful testimony of two community members living with HIV and a talk by the auxiliary Social Worker from the community trauma centre, the Peer Educators had the opportunity to engage in conversation with attendees on HIV prevention using their HIV cubes. 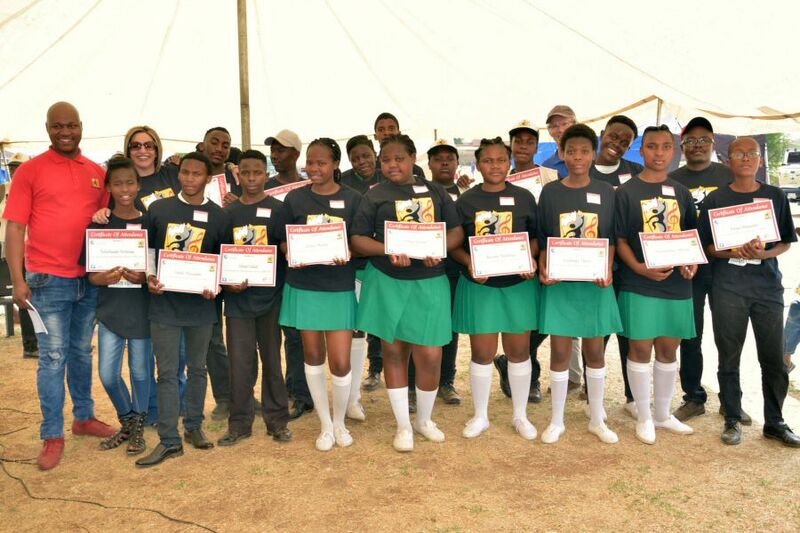 With overwhelming positive feedback from both the Springs and the Hammanskraal Field Bands the CHABAHIVA Trust and Field Band Foundation decided to continue with the HIV Peer Educator programme in 2018. Projects were planned for Springs, Hammanskraal as well as Alexandra Field Bands. Please follow CHABAHIVA Trust’s Facebook page for regular updates! The programme continues in Springs Field Band with support to the Peer Educators who were trained in the previous years as well as a few additionally trained members. As this is the third year of implementation, the financial support has been scaled down while the Springs Field Band takes ownership of the programme. Hammanskraal Field Band continues with a second year of implementation. Peer Educators receive a refresher training while the mentoring support continues. Alexandra Field Band is implementing this programme for a first year. After the training of Peer Educators in April there will be continues mentoring and support during the year. All three Field Band will explore more effective ways to involve churches and businesses as well as reaching towards their communities.